Norwegian has been busy today, with the launch of a new route to Rio de Janeiro, whilst changing some of its US long haul destinations – introducing San Francisco and Miami. Let’s look a the Rio de Janeiro service first, which will be launching in Northern Summer 2019 (Northern Hemisphere). The route is planned to operate four times a week, with a rather complex timetable from Norwegian’s Gatwick Hub. Norwegian operate their Boeing 787-9’s in a two class configuration, with premium seating (2-3-2) at the front and 3-3-3 economy class seats in the back of the plane. Lead-in prices have start at £239.90 one way and £549.90 one way in Premium. Let’s turn to San Francisco and Miami – two destinations that are served indirectly by Norwegian. The are currently served by Oakland and Fort Lauderdale currently. San Francisco will be operated as a five times a week service – mapping over the current Oakland service. Meanwhile Miami will go daily from 31st March 2019, replacing the four-times weekly Fort Lauderdale service. Lead-in prices start at £174.90 one way, and go upwards in Economy Class. 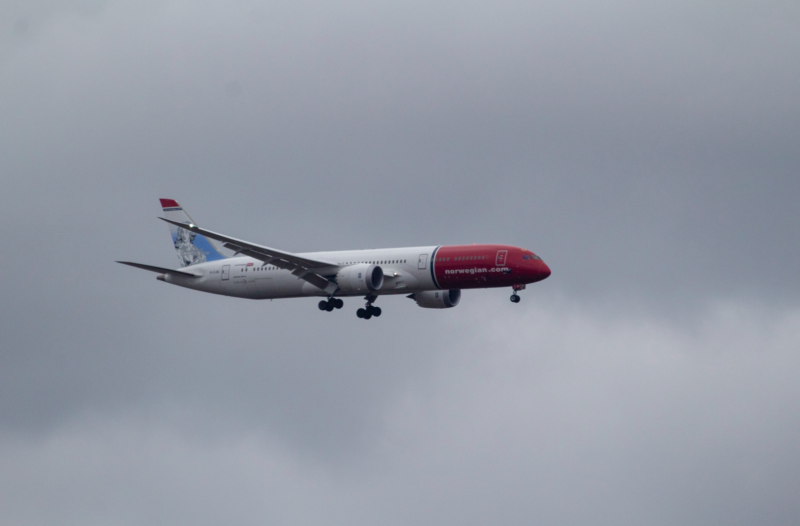 The airline is making the changes for what it calls ” reflects customer demand and the increased cargo capabilities these airports offer Norwegian Cargo.” – indicating that belly freight is becoming an important part of the airline’s picture. “We are delighted to meet the strong demand for our transatlantic flights by announcing that Miami and San Francisco will join Rio de Janeiro as part of our summer 2019 flight schedule. It seems Norwegian are trying a new strategy with these services – firstly, the Rio service will fill the gap that the Singapore service will take (as well as provide a long-term integration possiblity into the airline’s Argentinian operations). Obviously, airlines like to avoid the 3rd option where possible – but it seems that Norwegian are moving slowly away from the taking people from somewhere to nowhere option (where costs are cheaper) to the somewhere to somewhere option. Whilst costs may be more expensive, they are a lot more passenger friendly in terms of accessibility and connectivity. They are trying to be EasyJet rather than Ryanair – sensible given the real cheap skates will not fly long haul..
I’m not convinced that moving the OAK flights to SFO will generate enough additional yield to offset higher airport costs, unless they also have a lot of cargo opportunities from companies in SF itself or San Mateo County where bridge-free access becomes important, With the new train connecting OAK to BART, it’s just as easy to get from OAK to downtown San Francisco as it is from SFO, might 10, maybe 15 minutes more at most. OAK is actually easier than SFO if visitors want to rent a car to drive up to the wine country, rental car rates are a bit lower than SFO, and budget-minded travelers can build their own connections at OAK – discounter Spirit and the old standby Southwest offer lots of destinations. True, it’s not the most luxurious of airports – I flew through there last week and it could certainly use a makeover and at least one food choice that opens for the first few Southwest flights in the morning. The move from FLL to MIA is more of a toss-up – MIA is known for high airport charges, and FLL offers tons of LCC and near-LCC service (Spirit, JetBlue, and Southwest are all big there) and rental car costs are generally lower. But the airport is a PITA (MIA isn’t exactly a joy either, but it is better), and if you’re not taking a cruise out of Ft. Lauderdale flying into MIA will get you to places like South Beach better and without ridiculously high transfer costs. If they can capture some freight (perhaps freight connecting from Latin America? ), this looks more promising.